This school year is flying by and our teacher appreciation week is fast approaching. I like to give my children’s teachers a handmade gift and a gift card for teacher appreciation. This year I am going to dress up the gift card with this “Thank You For A Picture Perfect Year” gift card holder in the shape of a camera. It’s definitely an appropriate gift because I am not often seen at school without my camera. April’s Craft Lightning (projects that can be complete in 15 minutes or less) topic is teacher appreciation so it is a great opportunity to share my free printable file for this gift card holder. 1. Download one of my printable files. These files are only for your personal use. 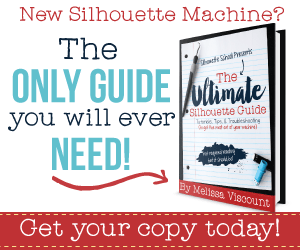 I used my Silhouette to print and cut mine so I have included those files as well. 2. Print the file onto the cardstock. 3. Use scissors to trim the outside of the card and then the X-Acto knife to cut the slanted lines where the gift card will be inserted. The slanted lines are printed on the back of the card. 4. (Optional) To add a personal touch to the card, use the circle punch to punch out a picture of your child or a picture of your child with his/her teacher and adhere it to the middle of the camera lens on the front of the card. Tip: Use the punch upside down so you can see exactly what you are punching out. Use adhesive to place the photo in the middle of the camera lens on the front of the card. This card is ready to give to a special teacher. Please be aware that all gift cards are not sized the same. I tested my designs with the different gift cards that we had. The “standard” size fits snugly in this card. If for some reason you card does not fit in the slats, use some washi tape on the top and bottom of the gift card. The tape will add a splash of color on the inside as well as hold the card in place. 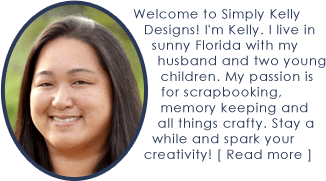 Kelly—Thank you, thank you! I took your PDF and converted it to a digi file so that I could use it in Artisian. Hope that is ok. I am using it for an end of the year gift for T’s teachers. 🙂 I absolutely love it and I am 100% positive that they will be thrilled! So cute Kelly! You are so talented! Thank you Malia! That means so much coming from you. This is fabulous! Thanks for joining! You are welcome Lisa! I love making things for teacher appreciation. We definitely love our teachers. Such a super cute idea Kelly! I love that a gift card can be included too, so fun. Thank you Jen. I love to dress up gift cards. Sometimes the people I give them to are more excited about the packaging than the gift card. This is too cute! I love how you added a personal touch by adding a photo of your kids. Taking notes for when I am a mom! Thank you Michelle! As a scrapbooker, I love to personalize everything with photos! It was so easy to add a photo to the camera.